Explanation: Why do some places on Earth have higher gravity than others? Sometimes the reason is unknown. To help better understand the Earth's surface, sensitive measurements by the orbiting satellites GRACE and CHAMP were used to create a map of Earth's gravitational field. 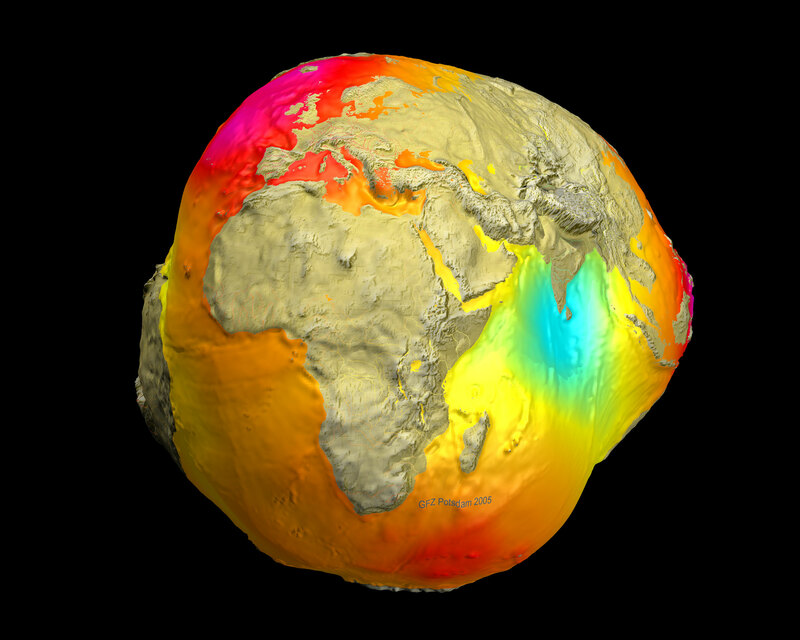 Since a centre for studying this data is in Potsdam, Germany, and since the result makes the Earth look somewhat like a potato, the resulting geoid has been referred to as the Potsdam Gravity Potato. High areas on this map, coloured red, indicate areas where gravity is slightly stronger than usual, while in blue areas gravity is slightly weaker. 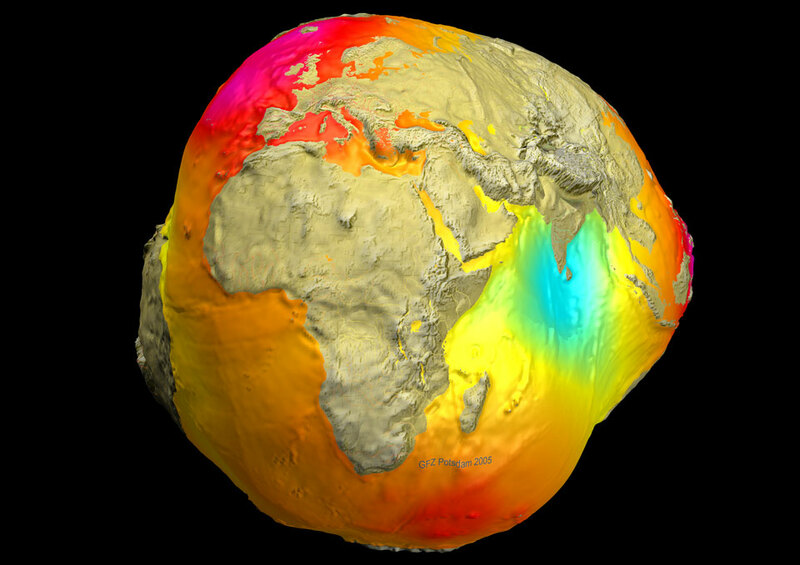 Many bumps and valleys on the Potsdam Gravity Potato can be attributed to surface features, such as the North Mid-Atlantic Ridge and the Himalayan Mountains, but others cannot, and so might relate to unusually high or low sub-surface densities. Maps like this also help calibrate changes in the Earth's surface including variable ocean currents and the melting of glaciers. The above map was made in 2005, but more recent and more sensitive gravity maps of Earth was produced in 2011.